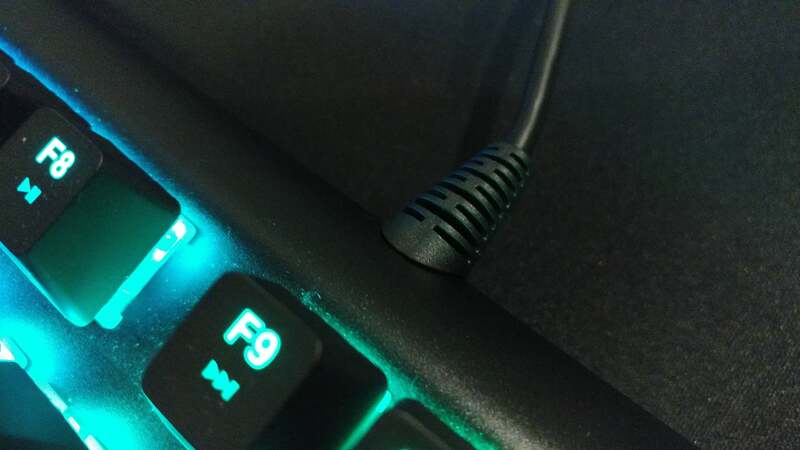 Earlier this year I finally got around to covering SteelSeries’s Apex M800 and its proprietary QS1 switch, and now it’s gone. 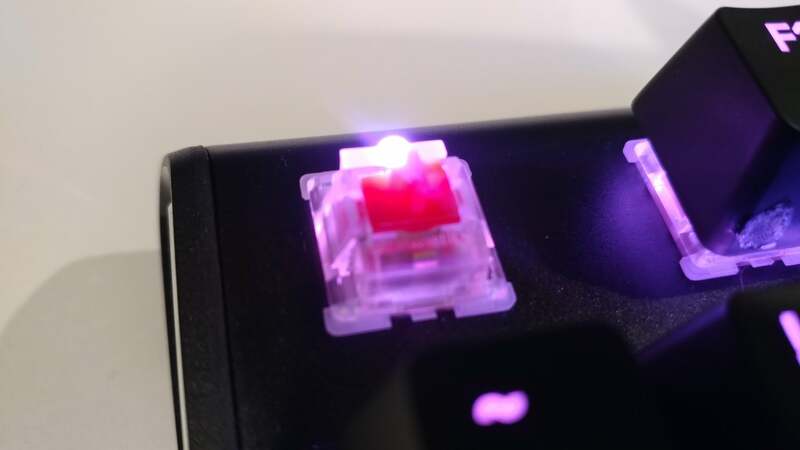 Yes, after just one keyboard, SteelSeries has ditched the QS1 switch, with its square housing and centered LED. Taking its place is the Apex M750 keyboard designed around the all-new QX2 switch—still proprietary, but quite a bit more familiar. The QX2 falls squarely into “Cherry MX knockoff” territory, as with so many switches these days. Note: This review is part of our best gaming keyboards of 2017 roundup. Go there for details about competing products and how we tested them. Before we dive deeper into the QX2, let’s talk a bit about the Apex M750 itself. This is presumably SteelSeries’ flagship nowadays—if for no other reason than it bears a flagship price. 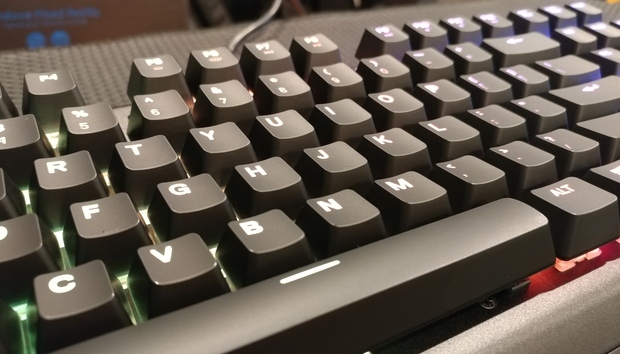 At $140 the Apex M750 is the most expensive keyboard SteelSeries sells, and despite its lower numeric designation, the M750 replaces the Apex M800 completely. It’s a very basic keyboard though. Built well, certainly—the all-metal chassis gives the M750 a sturdy and reliable feel. But as far as luxury features go—dedicated media keys, macro keys, USB pass-through, detachable or routable cable, wrist rest—none of that is included here. 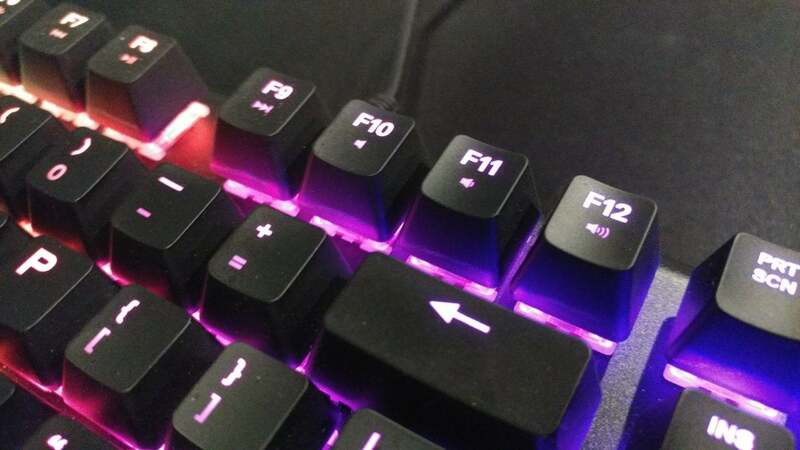 Media keys are embedded in the function row from F9 to F12. That’s more logical placement than keyboards that use F1 to F4, since it allows you to use the M750’s keys one-handed. It’s still no substitute for actual media keys though, let alone a volume roller, as on Corsair’s K95 or Logitech’s G810. Embedding media commands in the function row is the bare minimum nowadays, so on a flagship keyboard it feels like a misstep. Macro keys are no real loss, and I’m fine with the M750’s smaller size compared to the M800. Hell, I’m also fine with no USB passthrough, no detachable or routable cables, and even no wrist rest. None of these are must-have features. Abstaining from all of them though? It makes the M750 feel extremely vanilla, in comparison to both the competition and the preceding M800, which had many of these luxuries. I complained about the same bare-bones approach to Razer’s BlackWidow Chroma V2 earlier this year, and the Chroma V2 at least included a plush wrist rest to compensate. The Apex M750 has nothing. The M750’s generic aesthetic doesn’t help raise its profile any. Without the SteelSeries logo in the upper right, I’d be hard pressed to pull it from a lineup. 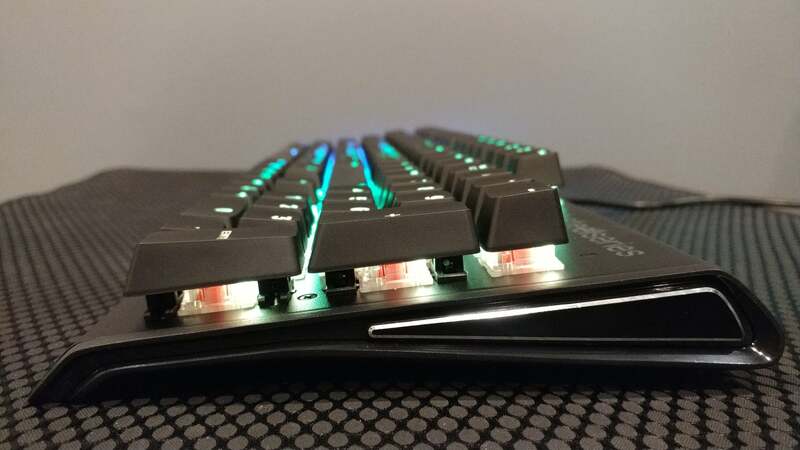 The flared sides are the only design trait that stands out—oh, and the fact that SteelSeries used weird rubber inserts on the bottom of the keyboard instead of the usual fold-out flaps. It’s strange and not terribly convenient. On the other hand, it’s worth noting that the Apex M750 does cost substantially less (or at least lists for less) than most competing flagships. Logitech, Razer, and Corsair’s high-end models all list in the $170 to $200 range. The Apex M750 lists for $140. Even at $140 the Apex M750 feels a bit simplistic, but a $30 to $60 difference can be huge, especially with keyboards—which I suspect most people find harder to justify the closer it approaches $200. The Apex M750 also boasts incredible lighting for its price. It’s one of the few RGB LED models to list under $150, and the $120 10-key-less version is maybe (I’d have to check) the least expensive RGB keyboard to date. It’s excellent RGB lighting too. Colors are bright and vibrant, and transitions are smooth. And while the M800’s centered LEDs provided better overall illumination, SteelSeries has still done a great job with the offset-LEDs necessitated by Cherry’s design. One quirk: Instead of fold-out flaps, the Apex M750 uses these bizarre rubber inserts on the bottom of the keyboard. I’m even more impressed by the work SteelSeries has done on the software side though. SteelSeries Engine is still a bit heavy for a utility, but it looks great. It’s also incredibly easy to add complex effects to your keyboard, and SteelSeries has built out some of the effects people have asked for on competing platforms for years. One example is the audio visualizer. I’ve been using the M750 almost exclusively with the visualizer, and it’s excellent. Each column corresponds to part of the audible spectrum (20 Hz to 20K Hz) and lighting then bounces up and down in time with the waveform. Another fun effect: You can import a GIF, and the keyboard will attempt to recreate it using its 104 misshapen “pixels”/keys. Other built-in effects cover chat programs and popular games like Dota 2 and Minecraft, and while not all of these are unique to SteelSeries, they’re handled quite a bit better here than I’ve seen from the competition. 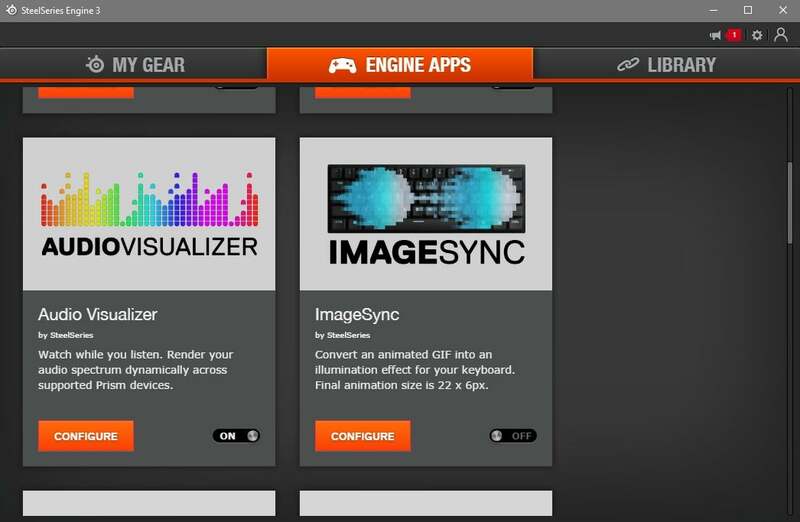 You just flip a feature “On” in SteelSeries Engine and you’re good to go. The Apex M750 brings the RGB keyboard closer to being a useful piece of kit, and not just an aesthetic fad. As for the QX2, it’s an obvious Cherry MX Red clone with 4mm travel, 2mm actuation, 45 cN resistance, and the familiar Cherry “stem” design. SteelSeries didn’t even change the color. Which, I guess, raises the obvious question: Why bother with the “SteelSeries QX2” name? The QS1 was manufactured by Kailh and I suspect the QX2 is as well. Is it just a point of pride for SteelSeries to have its name on the switches? A tactic to compete with Razer and Logitech’s proprietary switches? Or is Kailh’s name just that toxic among keyboard enthusiasts? Hard to say, but it’s a bit strange regardless. The switch is absolutely fine though, insofar as it’s just a standard Cherry Red knockoff. I’m not a huge fan of Reds, especially now that the superior MX Speed/Silver switch exists, but if you’re looking for a lightweight linear switch for gaming, the QX2 is totally inoffensive. 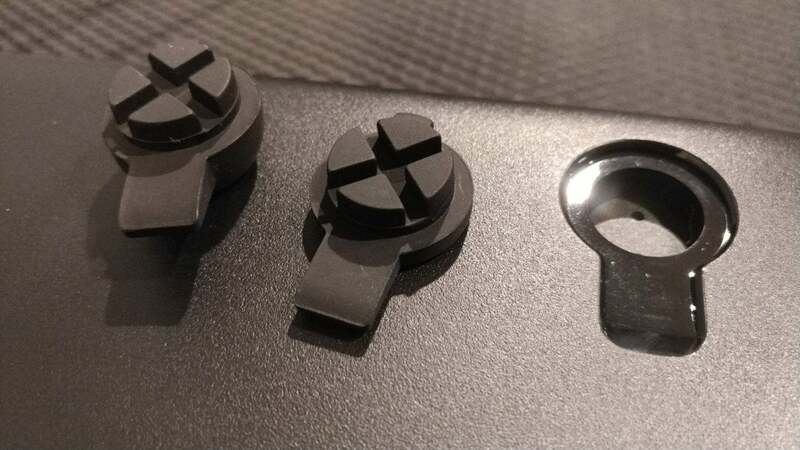 Enthusiasts will claim Kailh switches are less precise or durable, but the average user won’t notice. And hey, at least it’s a Kailh keyboard at a Kailh price—as I said, the M750 lists at $140. 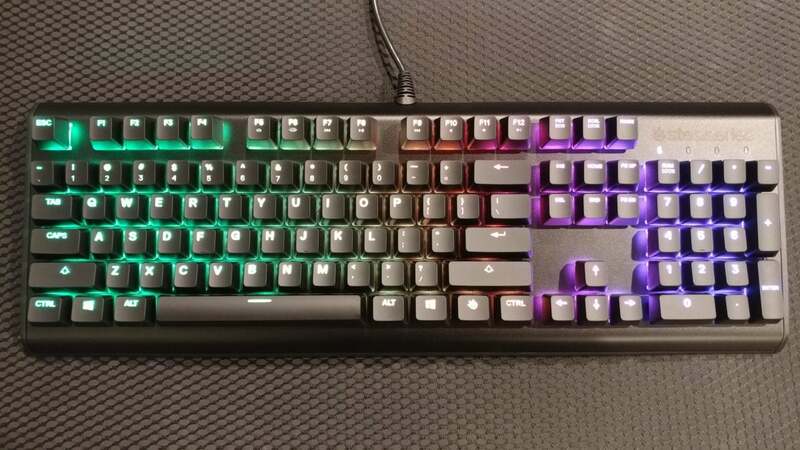 That’s better than Razer, which also uses rebranded Kailh switches (though that partnership is admittedly a bit more complicated) but charges $170 for the BlackWidow Chroma V2. The SteelSeries Apex M750 is a keyboard for those who want RGB lighting without the RGB tax. At $140 (or $120 for the 10-key-less version), the M750 comes in well below the list price for most competing flagships, yet offers comparable (or better) lighting effects than its higher-priced competition. But that low price comes at the cost of other features—features that, in some cases, already existed on the preceding M800 model. With no media keys, cable routing, macro keys, or other “luxury” features, the M750 is left feeling pretty bare-bones, almost like SteelSeries sacrificed utility to hit a low-cost RGB keyboard. If that’s true? Understandable. I’d still take function over form though, whether it’s a feature-packed single-color backlit keyboard for less money, or a feature-packed RGB keyboard for more.